The Superslider from Heel-O-Matic is perfect for youth ropers, family roping, and community jackpots. The rugged design can handle hard hits and maintain stability in tight turns. This is a low maintenance roping dummy that doesn’t need expensive batteries, to be plugged in, or recharged. It’s great for families with young ropers and ropers of all ages. It is designed to be roped from the ground. Heel-O-Matic is excited to introduce the brand-new TRAINER.This innovative roping dummy features a completely new hop sequence that has been studied and perfected over the past several years. The new hop is the EXACT replica of a live cattle in tow, and has even been matched correctly to live cattle movements by a mechanical engineer professor from Baylor University. Ideal for headers and healers and families that rope together, this is THE roping dummy machine to own if you want the PERFECT PRACTICE! Pull your Nex or Bones 2.0 roping dummy behind an ATV or four-wheeler. The NS16 is ideal for both calf ropers and breakaway ropers. 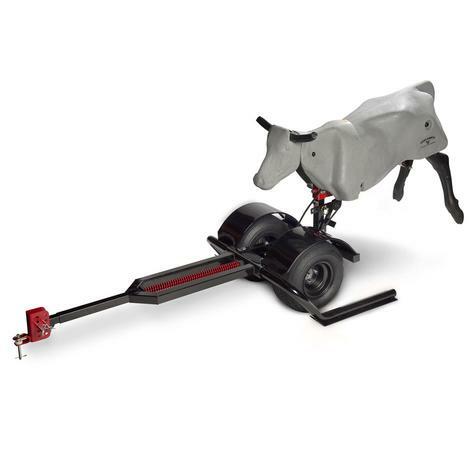 The adjustable height allows you to practice roping smaller tie down calves and larger breakaway calves. You will be able to practice throwing a correct loop, thanks to the longer tongue design. 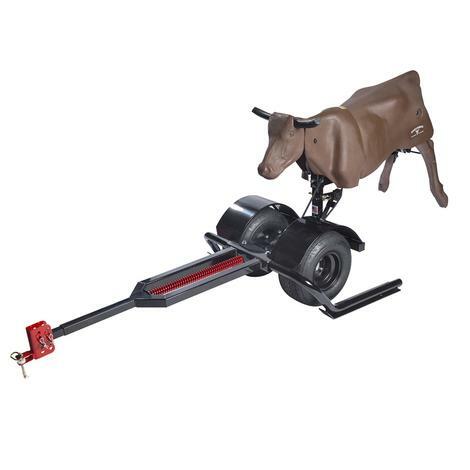 The Ultimate Ground-driven Trainer is designed to a create realistic roping experience for headers and healers. The spring-loaded tongue is square, which prevents tipping during sharp corners. Jerk is also reduced. This helps protect your ATV. Your horse will learn to gather and stop correctly because of the steer-like stretch. Your rope won’t slip off the hide like material and the re-engineered dally bracket is more durable. This training system also has a recessed area that allows you to use an optional toe flap. The speed of the hop his controlled by the variable pulley system and speed. This lets you recreate realistic runs and perfect every aspect of your roping technique. 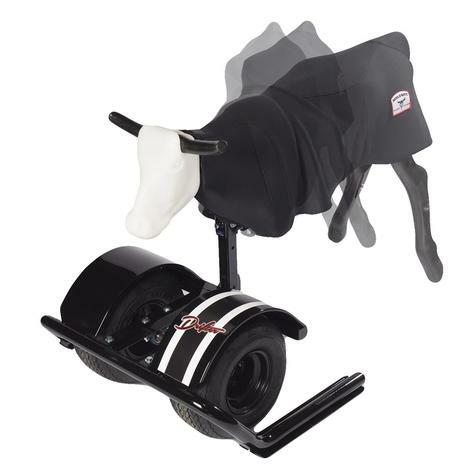 The Drifter training system allows you to train a heel horse to both you and the steer. This training system improves a driver’s ability to create a wider variety of realistic corners. The behaviors of different types of cattle, including fresh steers and older steers, can be more closely replicated with adjustable amounts of washout. The collapsible legs produce a hide-like feel. You will experience a more realistic feel. This realistic experience extends from dally to finish. The spring loaded tongue negates much of the jerk experienced by drivers, the machine, and your roping horse. This encourages a strong finish to the saddle horn. The machine suit reduces slipping from the plastic and provides a more realistic rope action. The initial contact of the head loop is deadened. The machine suit also aids in creating consistent washout action. 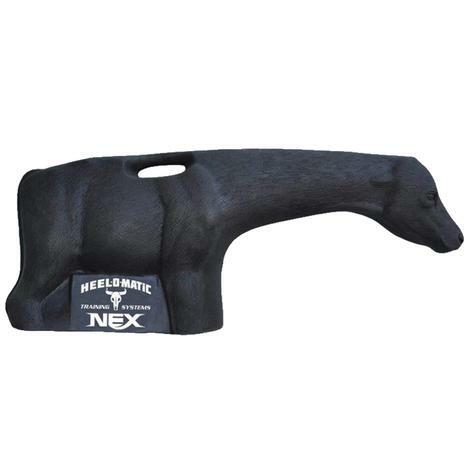 The Nex is a state of the art calf roping dummy that has been created to train and improve the skills of breakaway ropers, calf ropers, and dally ribbon ropers. The wide base creates stability, which prevents tipping, sliding, and slipping. The hide like feel recreates the feel of a calf and won’t let your rope slip. The long neck and head angle help you keep your tip down and make your curl kick back up while roping. 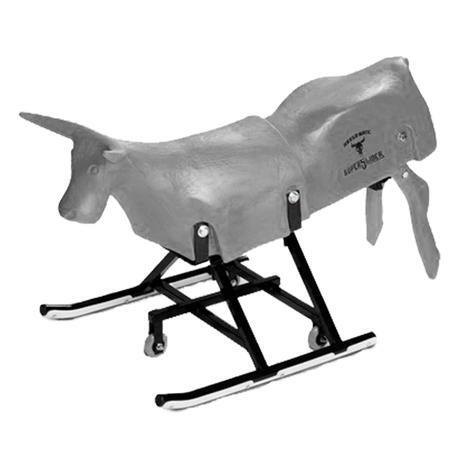 This stable roping dummy is highly portable, weighing in at only 29 pounds. Help your child develop an open swing, smooth delivery, and a crisp head loop. 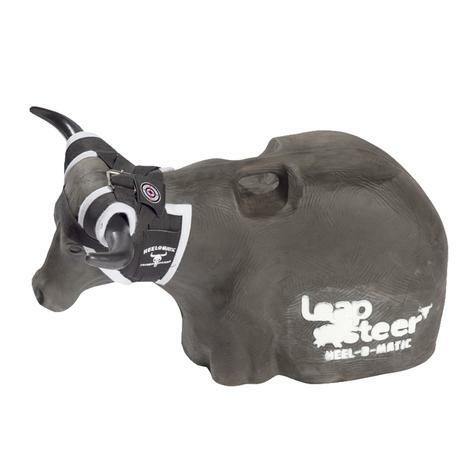 The Leapsteer is only 25 pound and 17 inches tall, making it the perfect child friendly header dummy. The medium sized horns and horn wrap combine with the hid-like feel to create realistic conditions. Your child will build their skills and their confidence as they learn to handle their rope. 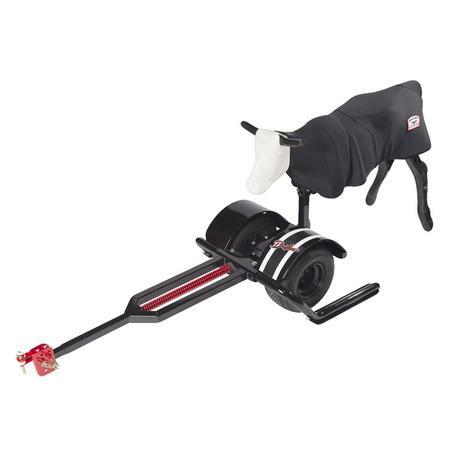 Take your heeling practice on the road with a light weight and collapsible roping dummy. 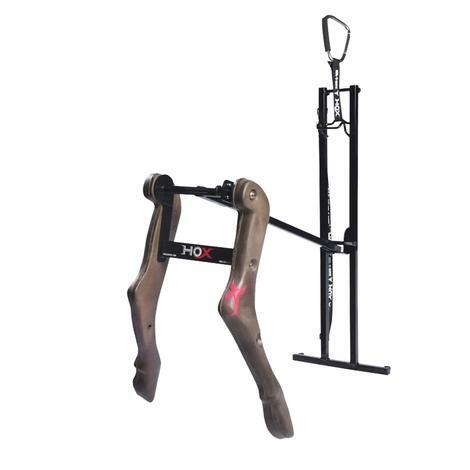 The Hox is a fully adjustable heeling roping dummy that can be installed on trailers, stalls, and fences. 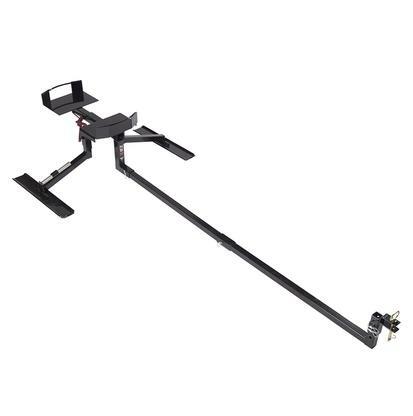 The height is adjustable and the legs can be locked into place or left swinging. The wide legs have a hide-like feel that keeps your rope from slipping. Almost endless scenarios can be created by adjusting the legs and the height. Maintain your skills on the go with the most realistic stationary heeling dummy available. Bones 2.0 is the most realistic heading dummy on the market. 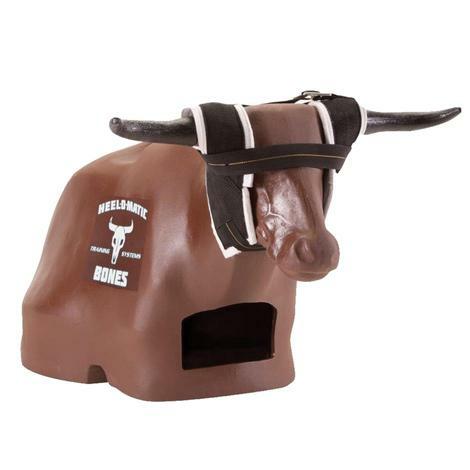 It has a lower headset and an anatomically correct head. 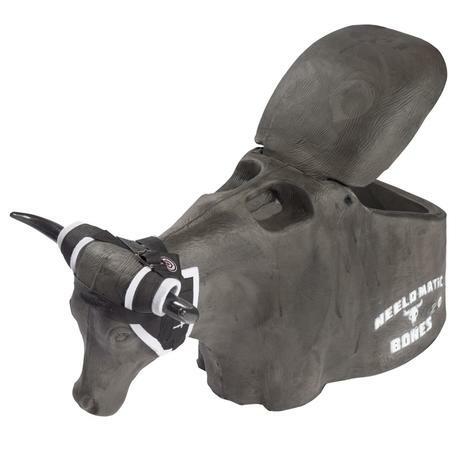 The standard medium horns are interchangeable with other Bones horn sets. 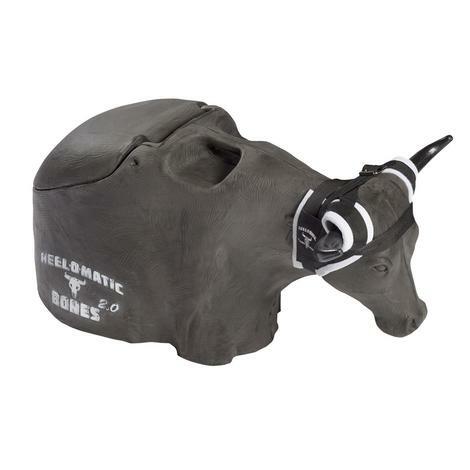 A realistic hide like feel and the horn wrap provide you with an accurate rope feel. The 45-pound weight means almost anyone can pick this roping dummy up, but the wide base will not slip, slide or tip during practice. Headers can practice proper swing angles and loop placement with this system, which will help create muscle memory. The back-storage compartment hold supplies or can be used as a drinks cooler. Made of durable, molded plastic, the Bones’ dimensions were carefully chosen to create the most realistic heading dummy on the market. The built-in handle and 45 pound total weight make the BONES easy for anyone in the family to transport. The Heel-O-Matic mission is to provide the products, customer service and knowledge to help customers excel in their equine competitions. All Heel-O-Matic products are designed to provide the perfect practice for every level of roping competitor and horse trainer, from youth to professional.